Evaporator systems are your first choice for a wastewater-free operation. 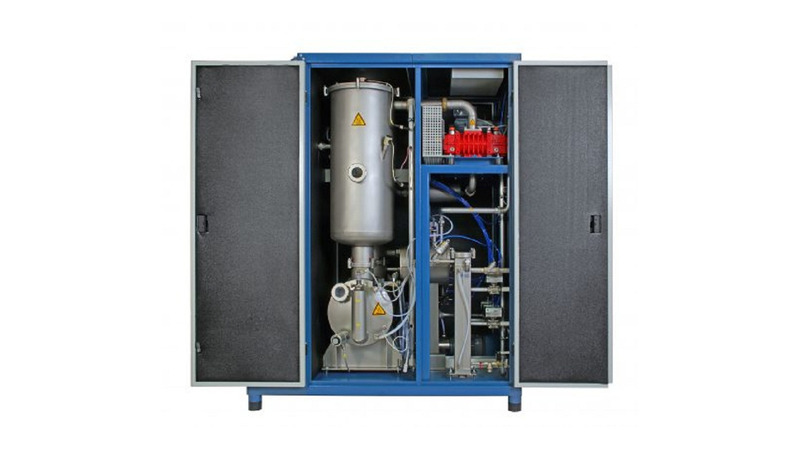 Our vacuum evaporators recover up to 98% re-usable high quality distillate, which can be reintroduced into the process cycle or led directly into the sewage system. All our evaporators feature ultimate flexibility and safety, they are easy to use and designed for 24/7 operation. The PROWADEST®/1 series evaporator systems feature ultimate operational safety combined with ultra high distillate quality. In the system a closed heat cycle ensures high efficiency and low energy consumption. A special pump creates a forced high velocity flow circulation, making this system ideal for treating heavily foaming process waters. Our multi-stage separation system, called cyclone separator, features optimum wastewater cleansing results and ultrahigh operational safety of the vacuum pump and the system as a whole. The PROWADEST®/1 series features individual models for wastewater workloads from 6,357 ft³ to over 529,720 ft³ per year.